Do you have the right tools to seriously disintermediate? Equipping its structure with modern technologies such as Booking Engine, Channel Manager and Property Management System (PMS) favors direct bookings, simplifies work and avoids unpleasant problems such as overbooking. Let’s analyze the tools. The booking engine for your site: simplify the process of booking customers through the online reception, personalizing your offer, creating special offers and holiday packages … all useful tools for disintermediation. Furthermore, by integrating data with the channel manager, availability and prices will always be synchronized! Synchronize availability and prices with over 100 OTAs among the most important (by way of example: Booking.com – Expedia – HRS – AirBnB – Agoda). You will save time and you can avoid overbooking! 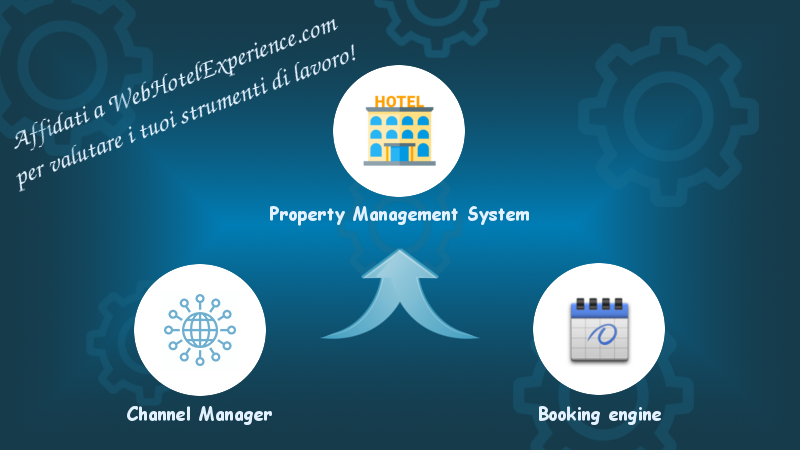 A Property Management System, PMS, is a management system for tourist facilities that offers the possibility of automating the hospitality process from booking to check-out. The staff can authenticate and manage the distribution of rooms to guests, keep track of down payments, record documents and automate legal communications. For more details on Booking Engine, Channel Manager and Property Management System, contact us without obligation.